Die UK Ska-Punk Band Faintest Idea haben ein neues Video zu den Song Circling The Drain veröffentlicht. Der Song wird auf dem neuen Album Increasing The Minimum Rage enthalten sein. Das Album erscheint am 1. April 2016 auf TNS Records. 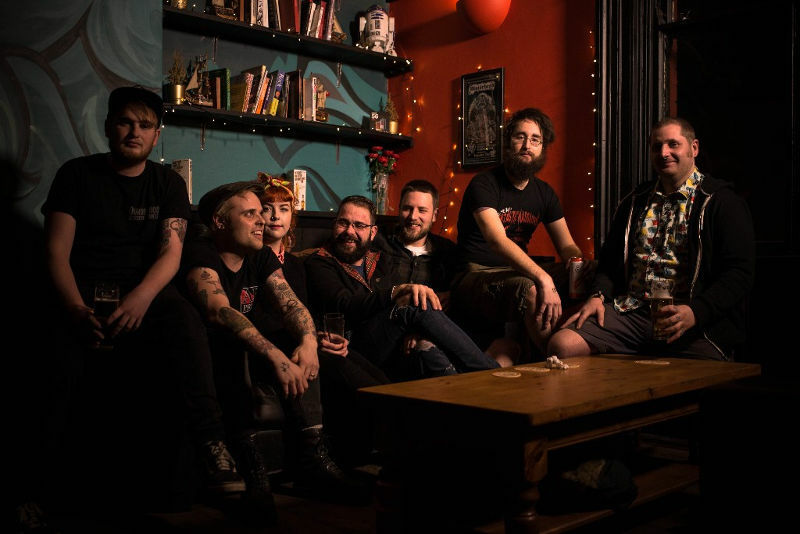 Kings Lynn rudeboy street punks Faintest Idea are pleased to reveal the video for ‚Circling The Drain‘, the first new material taken from their forthcoming album ‘Increasing The Minimum Rage’ released via Manchester-based punk and ska label TNSrecords on 1st April 2016. With the current austerity measures from the Tory government raining misery over the country and giving them plenty of ammunition, ‚Circling The Drain‘ addresses the salient and timely issues of the juniour doctor’s contract, funding cuts and the privatisation of the NHS and is the first part in a trilogy of video narratives to be released from the album. The band are currently in the middle of a run of headline dates in support of the new material which they recommence on Wednesday 24th February 2016 at The Cellar in Oxford. The new album was recorded with Hieronymous Melchers (the man behind the control desk on releases from legendary names from the ska punk scene including Capdown, Citizen Fish, King Prawn and Snuff) and mastered by Massimiliano Giorgini (Anti Flag, Rise Against, Alkaline Trio, Common Rider), the 11 track album also features guest performances from Vic Ruggiero (The Slackers) and Sean Howe (Random Hand).